MI6's former chief has denied that the intelligence service murdered Diana, Princess of Wales. 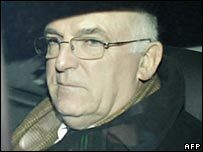 At the inquest into her death, Sir Richard Dearlove insisted he had not been aware of MI6 assassinating anyone in his 38-year career there. 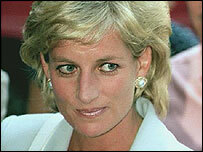 He rejected claims by Harrods boss Mohamed Al Fayed that Diana was killed by MI6 on the orders of Prince Philip. Mr Al Fayed's son Dodi and driver Henri Paul were also killed in a car crash in Paris in August 1997. Sir Richard told the inquest that this was a "very personal allegation" given his role at the Secret Intelligence Service - otherwise known as MI6 - at the time. He was MI6's director of operations from 1994 to 1999, and served as head of the agency from 1999 to 2004. He denied that any assassinations took place under his authority. Ian Burnett QC, for the coroner, asked him: "During the whole of your time in SIS, from 1966 to 2004, were you ever aware of the service assassinating anyone?" Sir Richard replied: "No, I was not." He added that the service was legally required to seek authorisation from the Foreign Secretary to carry out any operation which involved breaking the law. He insisted that the service did not seek any such authorisation regarding the princess in 1997. Mr Burnett read sections of the Intelligence Services Commissioner's report from that year which listed all authorisations given to MI6. None related to Princess Diana. He said that he sat on the SIS board from 1993, giving him access to sensitive material. This would have meant that he would have been aware of any assassination plot, he said. Asked whether members of the Royal Family had links to MI6, Sir Richard said it was "utterly ridiculous" that Prince Charles and Prince Philip were active members of MI6. Mr Burnett said: "It is suggested that Prince Philip and the intelligence agencies really run this country and that we are not a Parliamentary democracy." Sir Richard replied: "I do not want to be flippant, I'm tempted to say I'm flattered, but this is such an absurd allegation that it is difficult to deal with. "It's completely off the map. I cannot think of any other way of saying it." He dismissed the significance of former MI6 spy Richard Tomlinson's earlier account before the inquest that a colleague drew up plans to kill a top Balkan leader. The intended target was not Slobodan Milosevic, Sir Richard said. "An officer working in one of the sections to do with the Balkans had suggested the possibility of assassinating another political personality who was involved in ethnic cleansing," he acknowledged. But Sir Richard said this plot was "killed stone dead" after it was committed to paper. The document was shredded and its reference number was removed, he added. The proposal was "out of touch with service practice, service ethos and it was not a proposal to which consideration would be given," Sir Richard said. Allegations from ex-MI5 officer David Shayler that SIS was involved in a plot to kill Libyan leader Colonel Gaddafi were simply "not true", he insisted. The Metropolitan Police had investigated the claim and found it to be "without substance", Sir Richard continued. The ring, the Fiat, pregnancy... what have we learned?